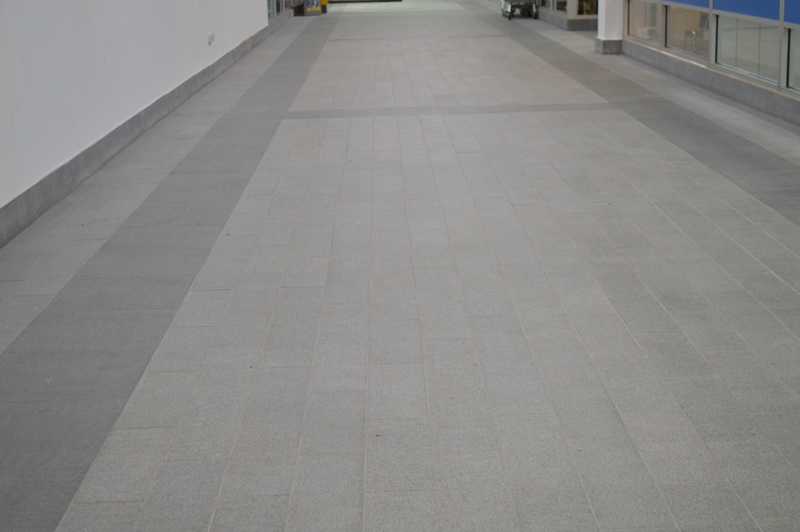 BAL products have played a significant role in a major refurbishment scheme of Rugby Central Shopping Centre. Formerly called the Clock Towers Shopping Centre, Rugby Central is a two-story shopping mall in the heart of the town with more than 50 outlets. 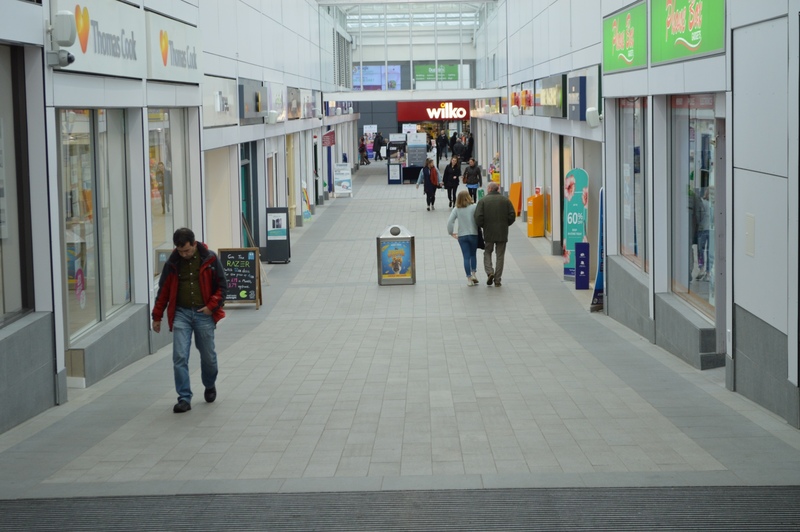 The two-year refurbishment of the centre included revamping shop fronts, installing new, energy-efficient LED lighting systems and the installation of granite flooring throughout. BAL – market-leaders in full tiling solutions – worked with tiling contractor WB Simpson & Sons to provide a full tiling specification with materials sourced through Capitol Tiles. This was backed-up with full project and product support from BAL’s Technical Advisory Service and Product Support Technicians. 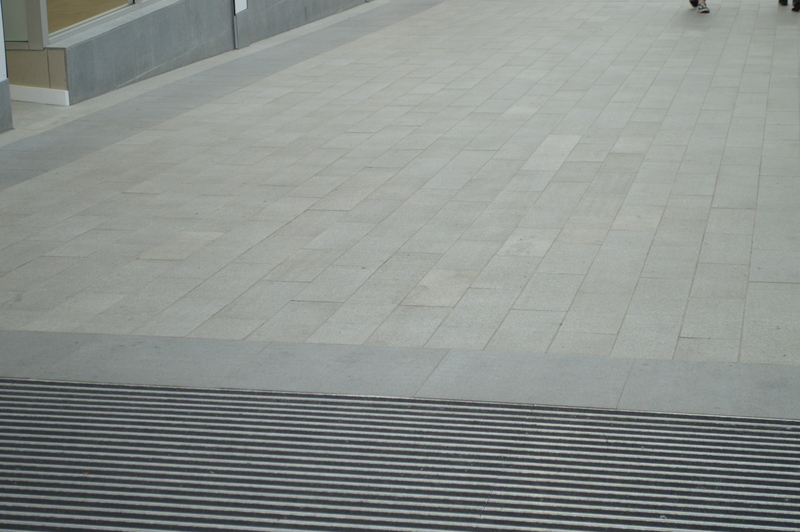 More than 2,500 bags of BAL Level Max – nearly 62.5 tonne – was used on the project to level the existing concrete base after the original quarry tiles and adhesive was mechanically removed. BAL Level Max was specified because it can be used up to 80mm in a single application – the largest bed depth in the market. What’s more it is reinforced with Fibre Strand Technology and has added flexibility, self-smoothing capability, fast flow and low shrinkage – plus it is pumpable – making it perfect for large scale commercial projects such as this. Rapid-setting, it accepts foot traffic in three hours, and tiles in four hours – at whatever depth – producing considerable time and cost savings. Because of the sensitivity of the granite flooring, a rapid-drying white adhesive was required for the project – and WB Simpson & Sons found the solution with BAL Rapid-Flex One. Recently introduced into the market, BAL Rapid-Flex One is a high performance S1 adhesive that has extended open time of 30 minutes and working time of 60 minutes, while it can be grouted after only three hours. The longer working time, but still rapid-setting nature of the product made it perfect for such a commercial project where workability and time saving were key requirements. 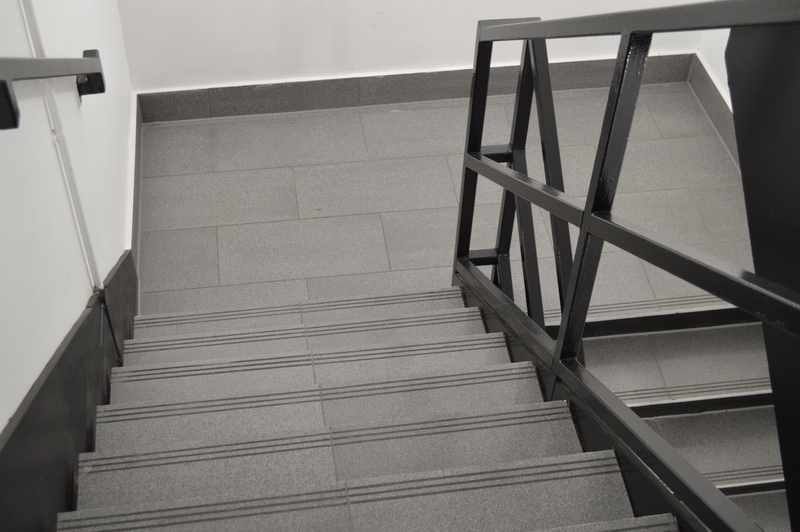 The floor was finished with BAL Micromax2 Grout – an efflorescence free, flexible and abrasion-resistant grout for walls and floors that is perfect for heavily trafficked areas. 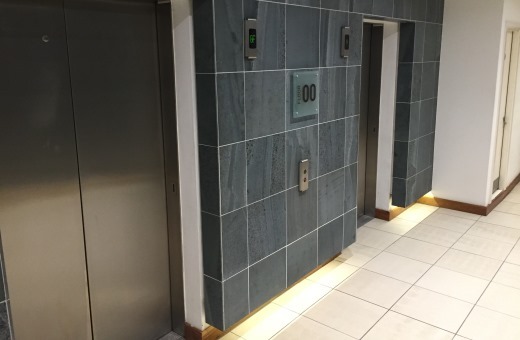 Richard Friebe, Director at WB Simpson, said: “The scale of the preparation work required prior to tiling was scary, especially when it was discovered at an early stage that not one, but two layers of existing tiles, plus bedding was coming up when the mechanical removal commenced. 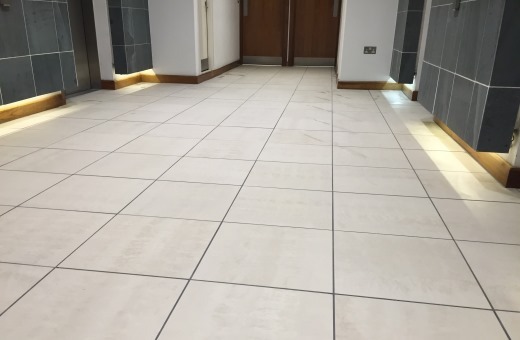 Major tiling renovation work at West One, a high spec office complex in Leeds city centre, has been completed with extensive use of BAL adhesives, grouts and ancillary tiling products. 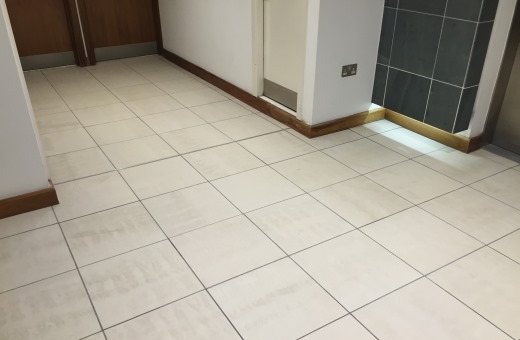 Work was carried out by Elite Tiling of Manchester to replace approximately 50m2 of carpet tiles with stunning 450mm x 450mm beige Porcelain tiles from Caesar in a first floor lift lobby to complement existing tiling in the reception. Due to the nature and amount of work, the project was completed over a Bank Holiday weekend commencing as soon as all the office staff had left work for the evening. Elite Tiling began by lifting all the carpet tiles before scrapping up the sticky glue residue. The whole floor was then swept, cleaned and primed with BAL Prime APD and left to dry. 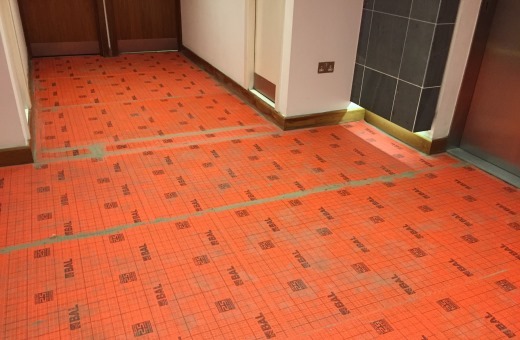 To provide a stable substrate and prevent against future cracking and de-bonding of the tiles, Elite Tiling made extensive use of BAL’s innovative and award winning BAL Rapid Mat uncoupling system which was fixed with BAL Rapidset Flexible (grey) tile adhesive. All tiling was set in BAL Rapidset Flexible (grey) tile adhesive before the whole area was grouted with BAL Micromax2 Smoke to match the tiled surface in the reception area. Movement joints and edges were sealed with BAL Micromax Sealant, colour-matched with the BAL grout. The project was completed in double-quick time to allow staff to return to work on the Monday. Dave Stott, from Elite Tiling who carried out the work, was quick to praise the BAL products used on the project. “I have used BAL and nothing else for many years and they never let me down,” he said. “When I was contracted for this project I instantly knew that BAL would provide the perfect solution for my tiling needs. 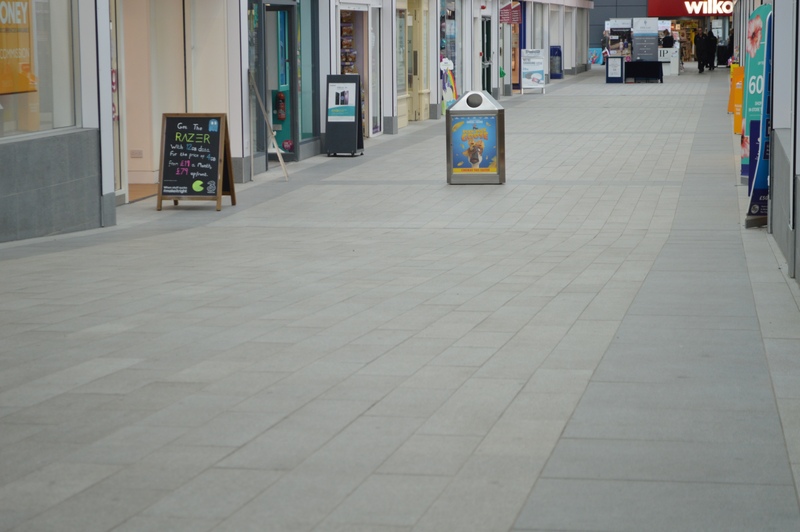 “I was particularly impressed with BAL Rapid Mat – it was extremely easy to use, providing minimal height build-up and is perfect for this sort of project where high foot traffic and surface movement is expected. 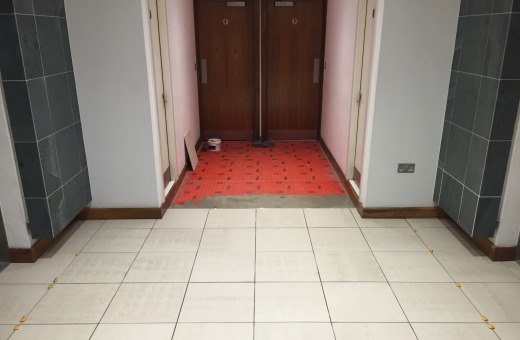 Installation of approximately 50m2 of floor tiles in high specification office building in the heart of Leeds City Centre.